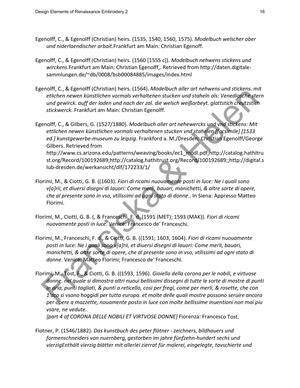 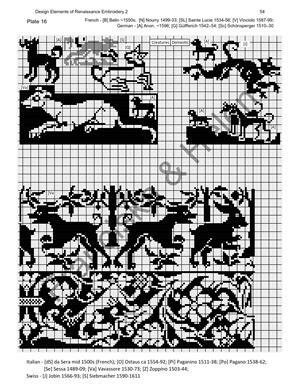 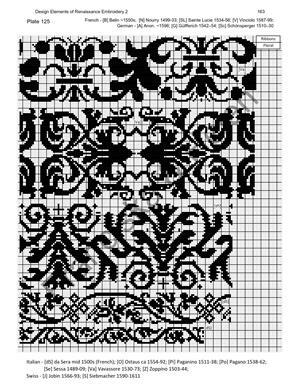 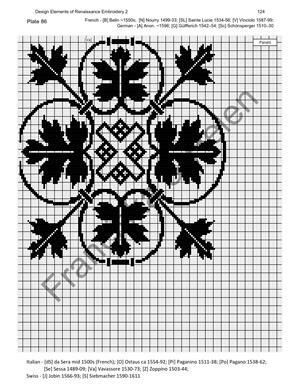 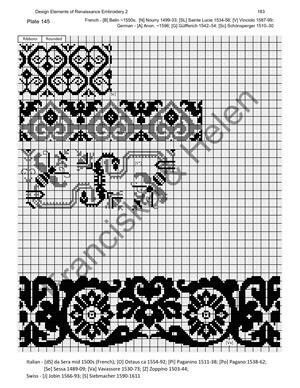 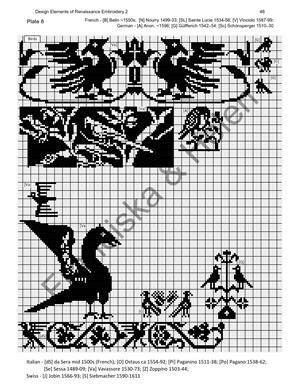 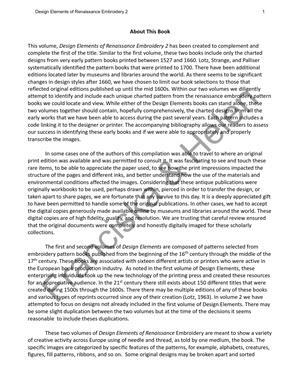 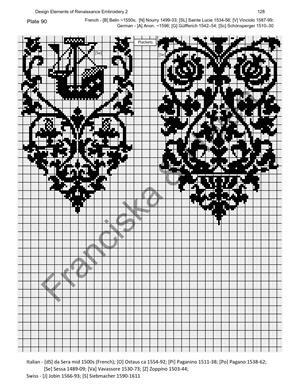 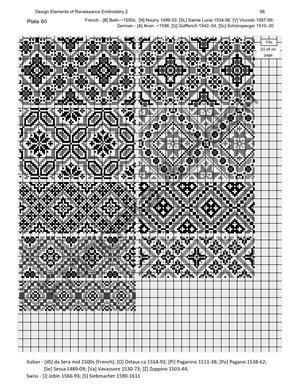 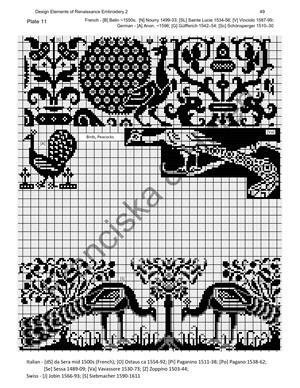 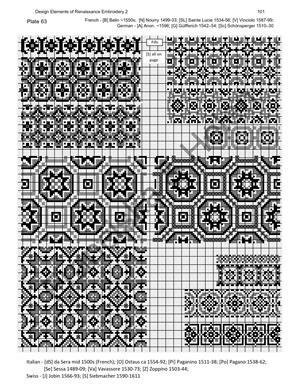 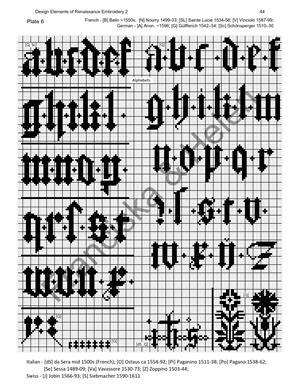 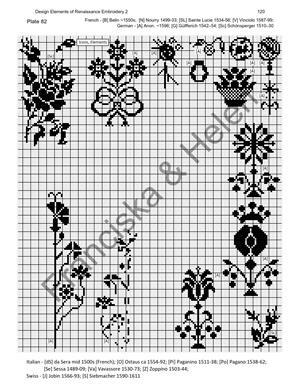 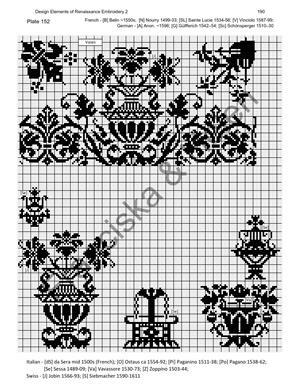 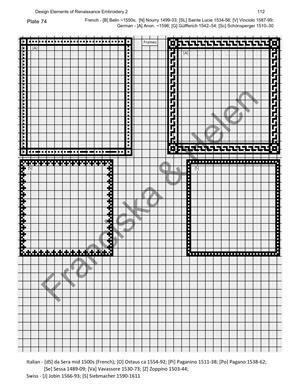 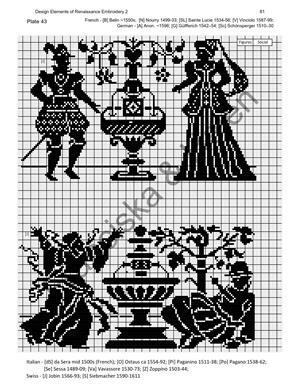 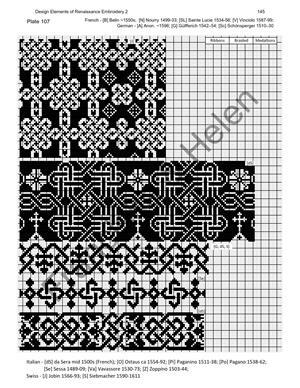 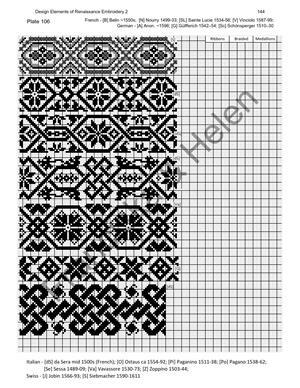 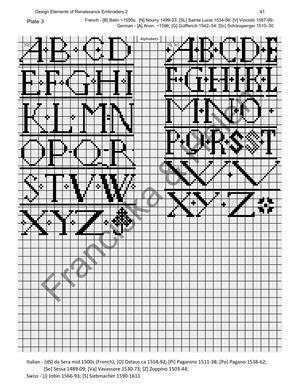 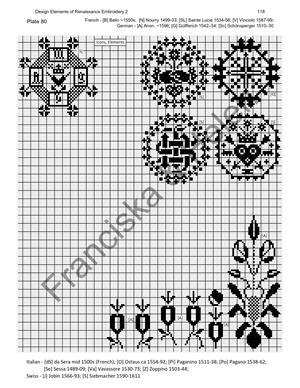 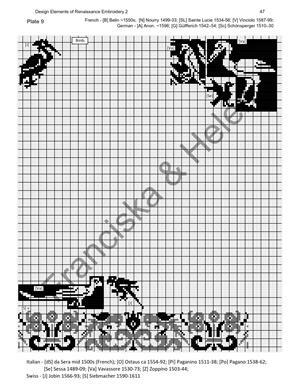 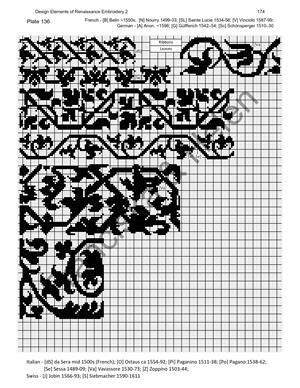 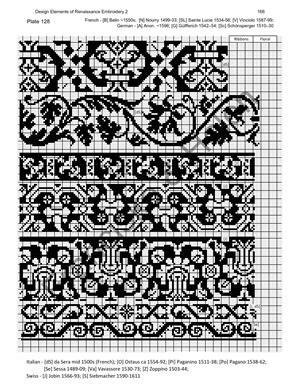 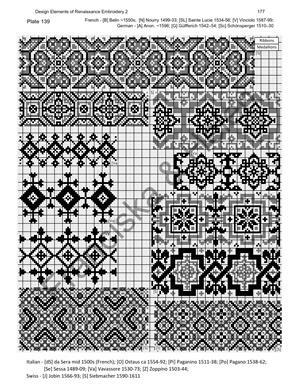 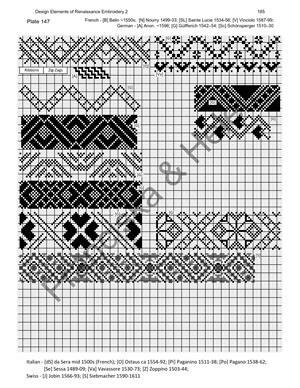 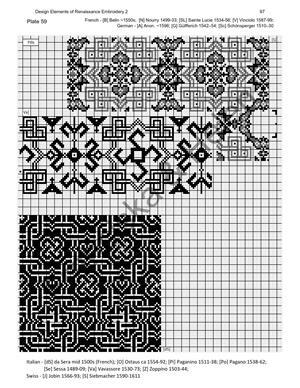 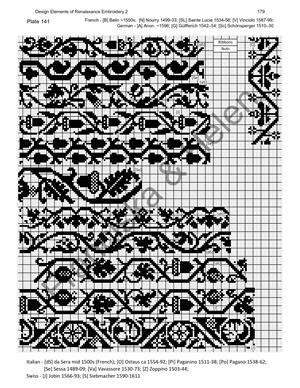 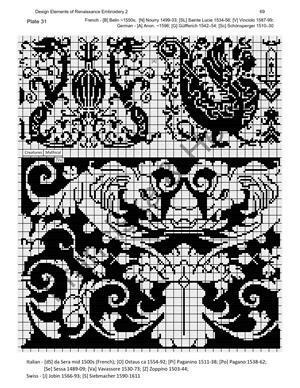 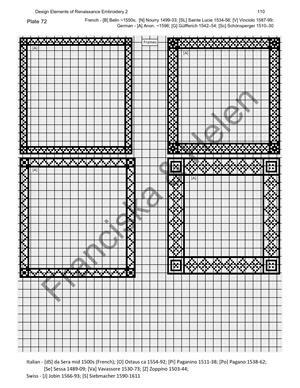 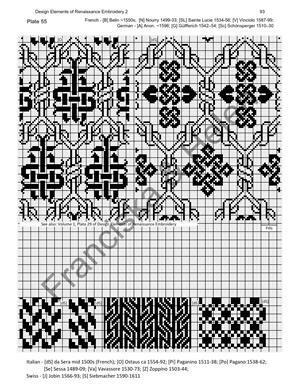 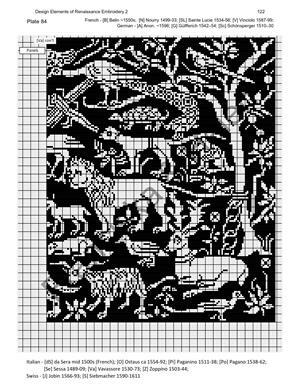 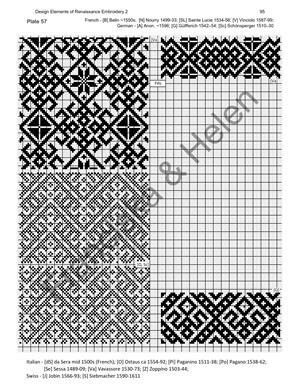 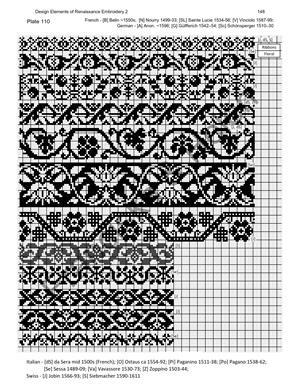 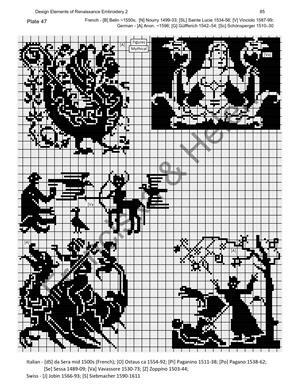 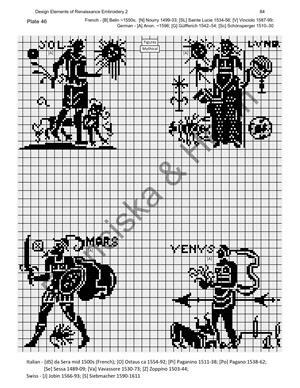 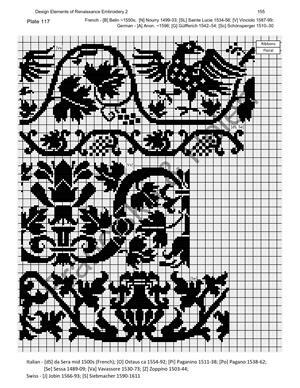 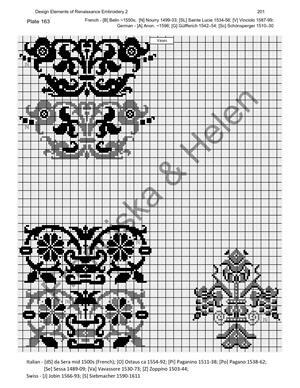 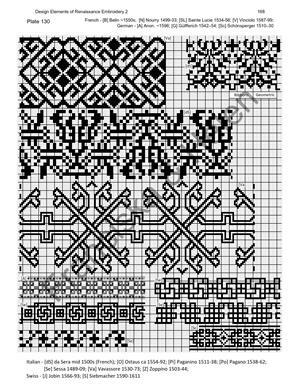 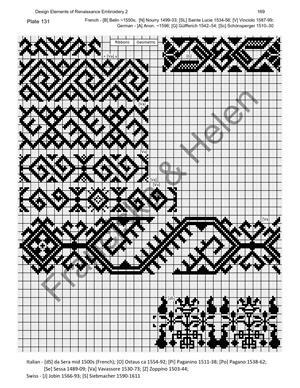 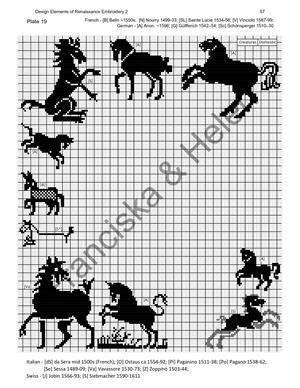 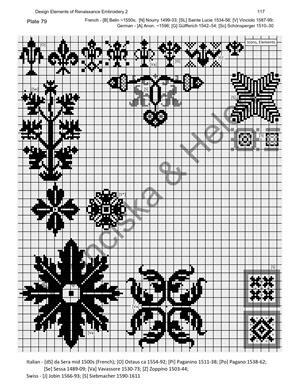 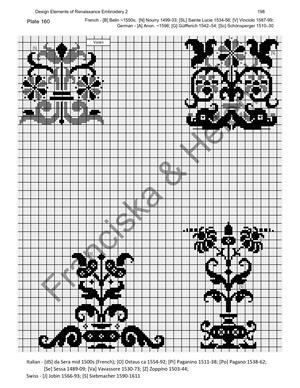 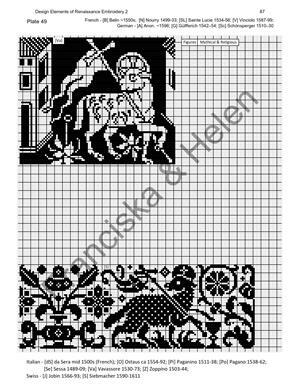 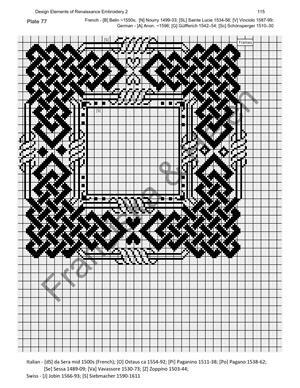 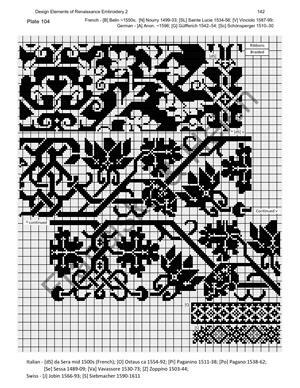 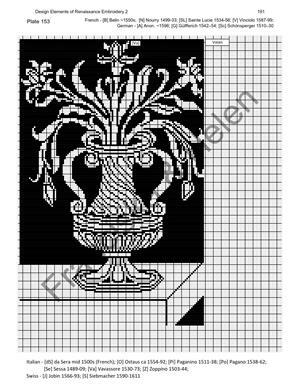 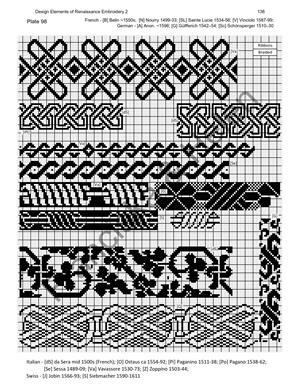 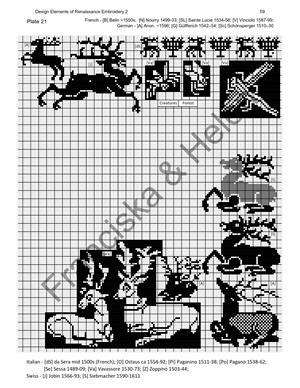 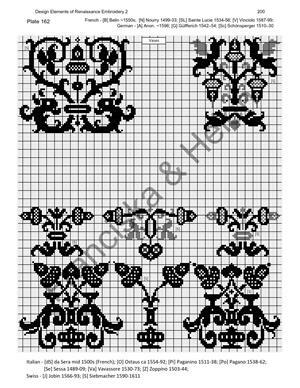 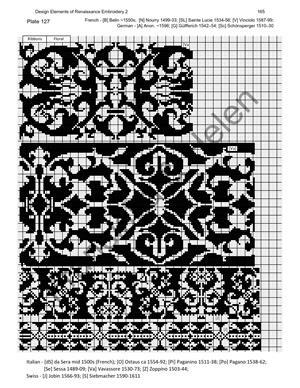 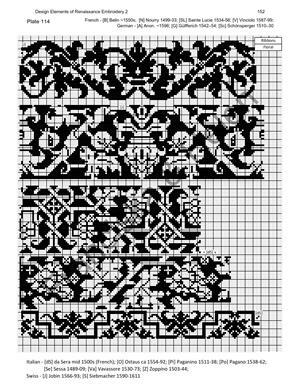 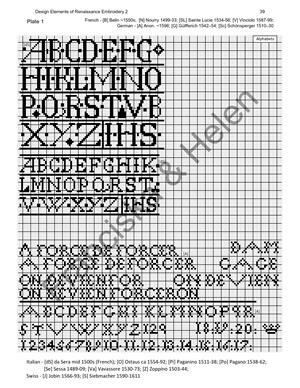 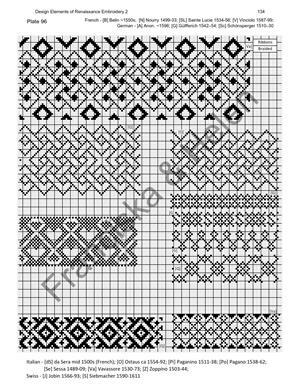 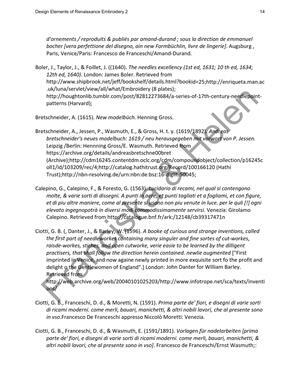 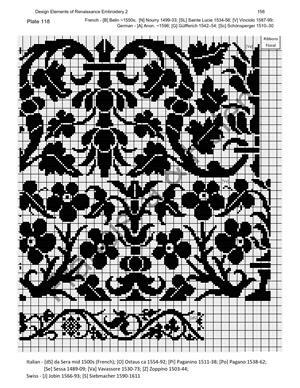 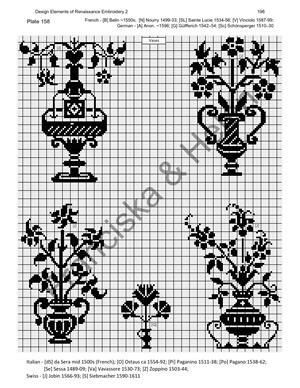 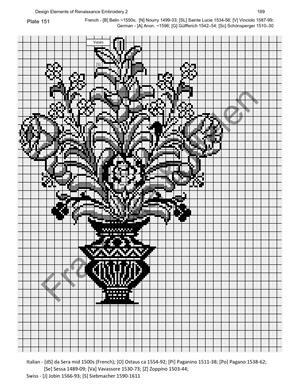 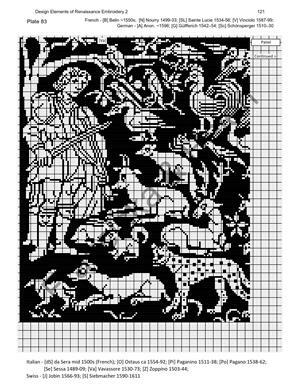 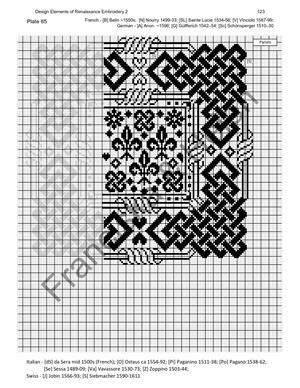 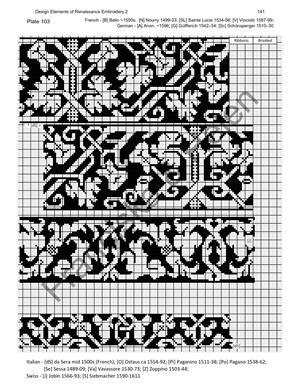 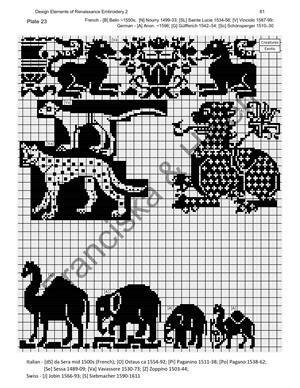 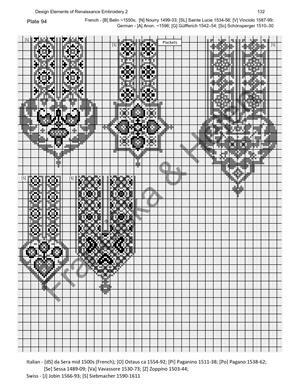 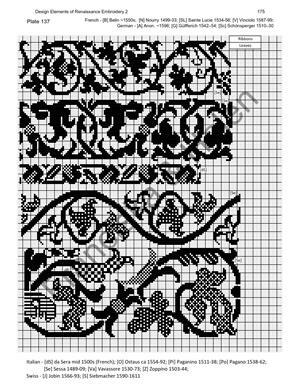 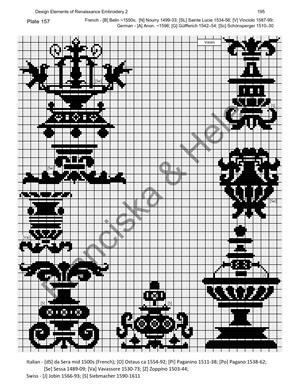 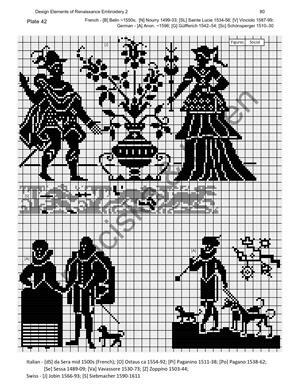 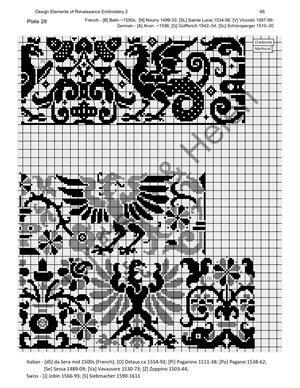 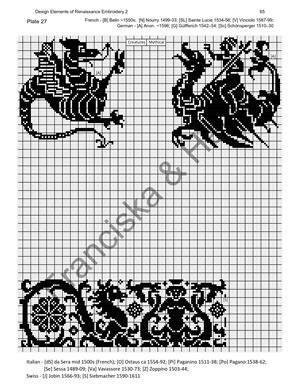 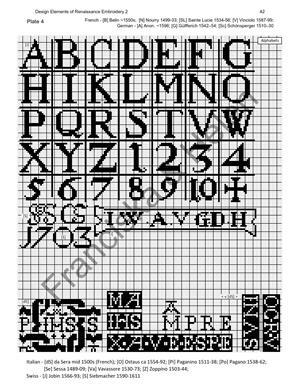 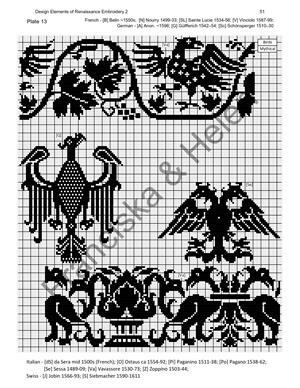 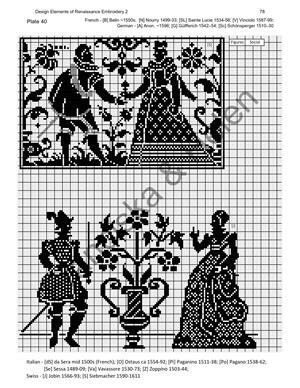 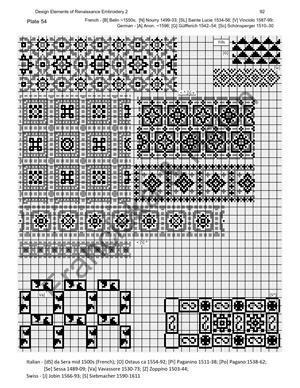 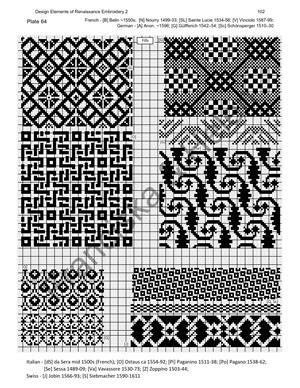 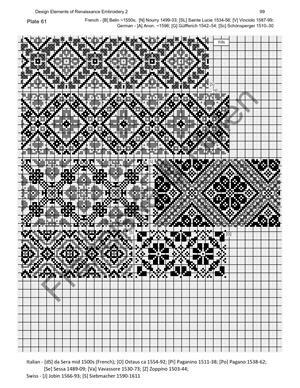 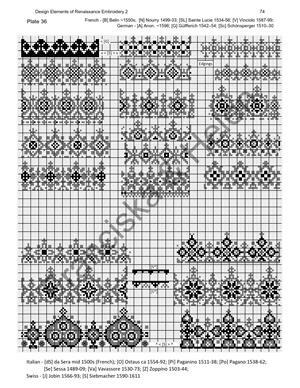 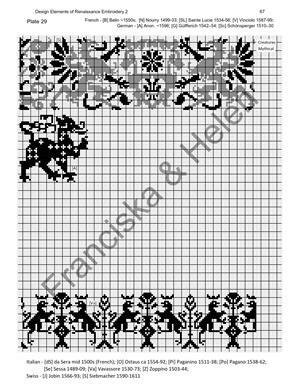 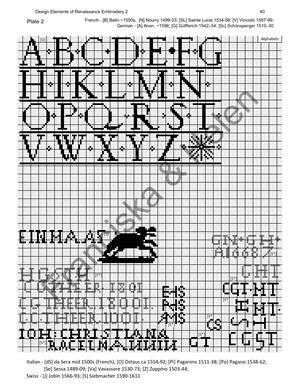 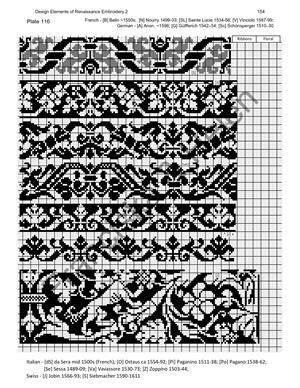 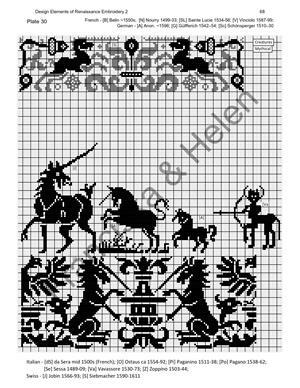 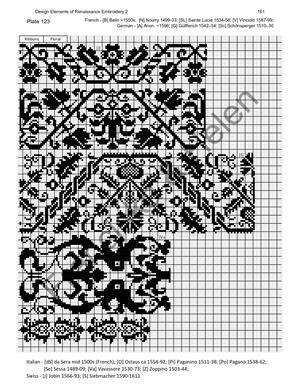 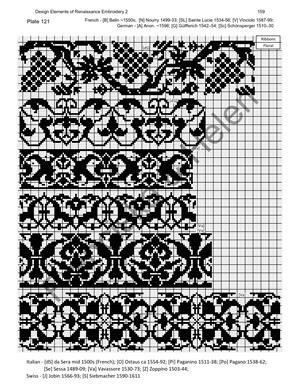 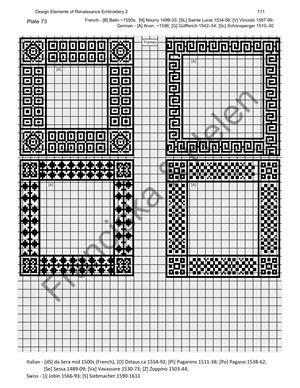 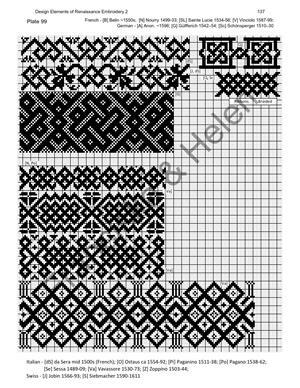 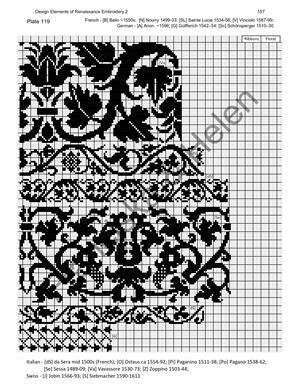 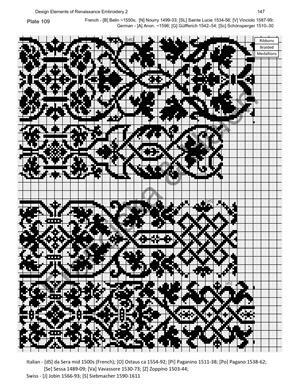 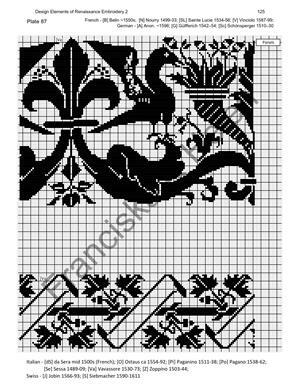 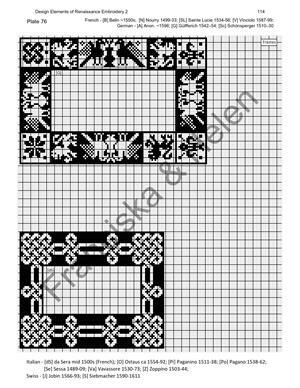 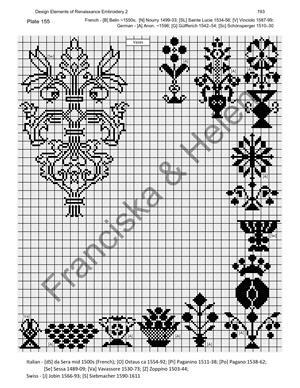 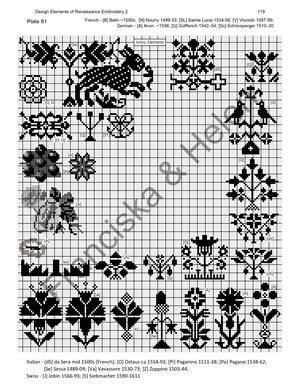 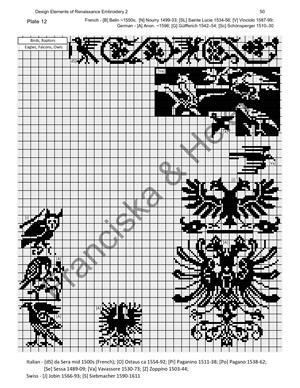 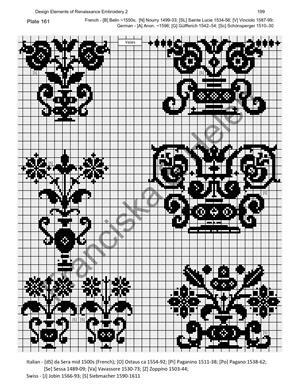 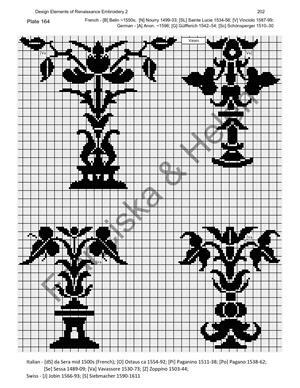 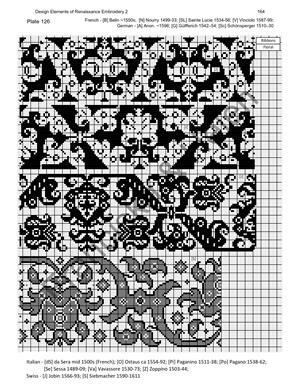 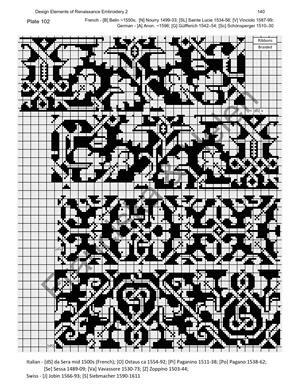 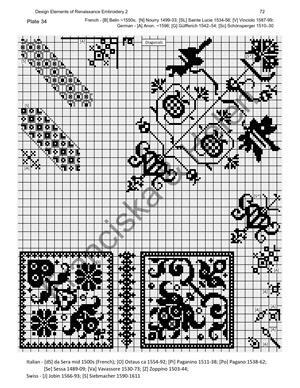 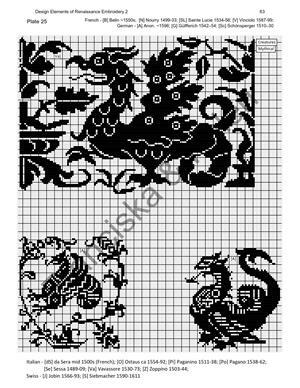 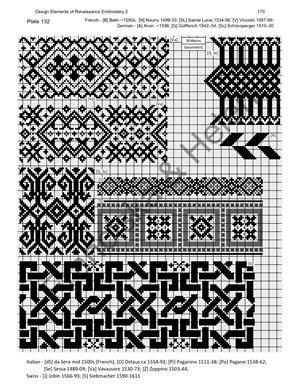 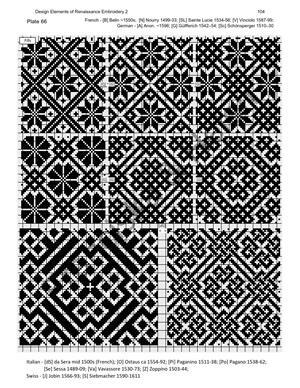 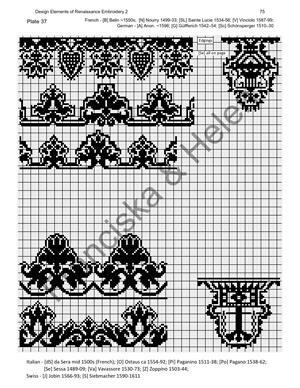 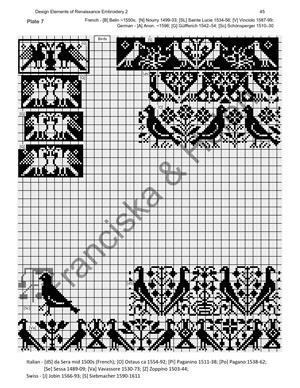 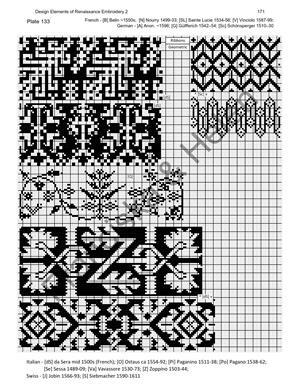 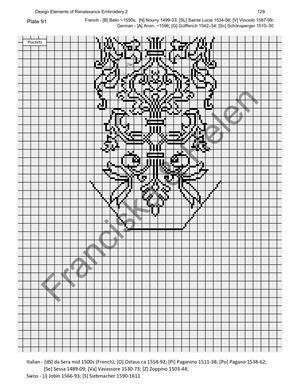 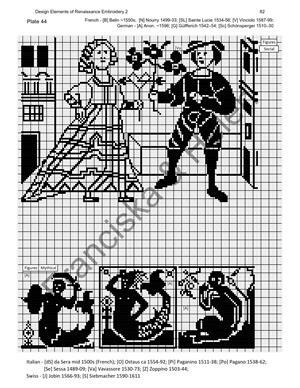 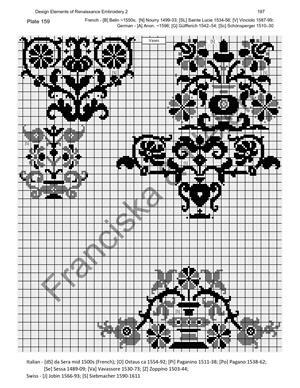 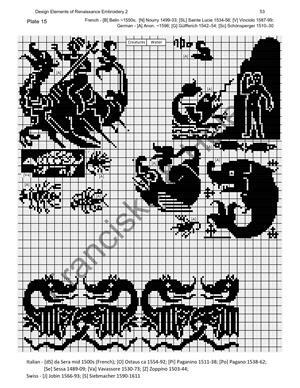 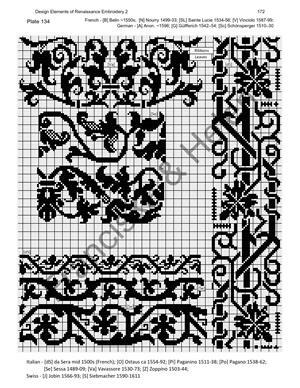 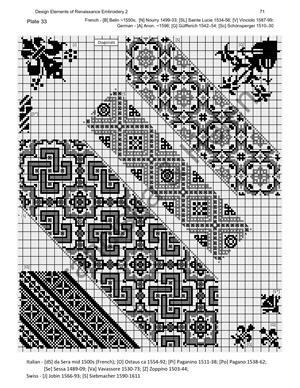 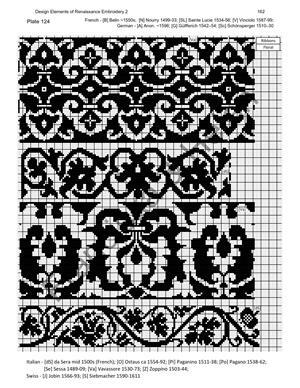 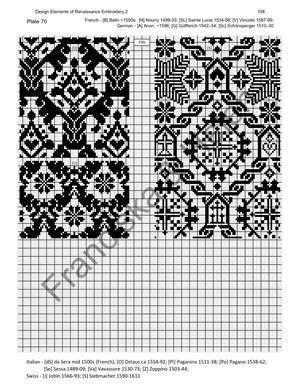 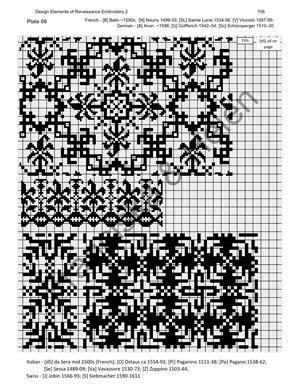 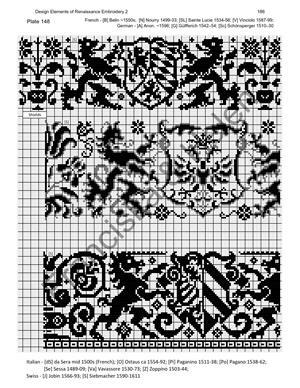 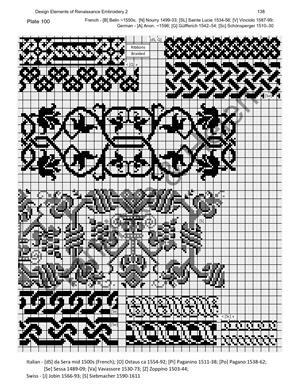 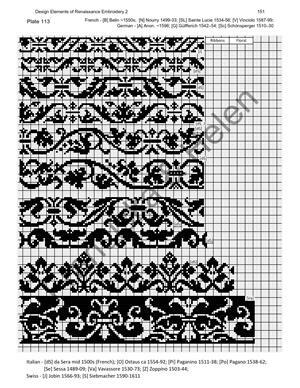 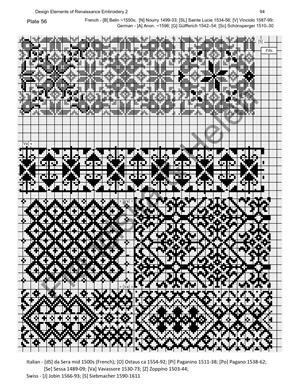 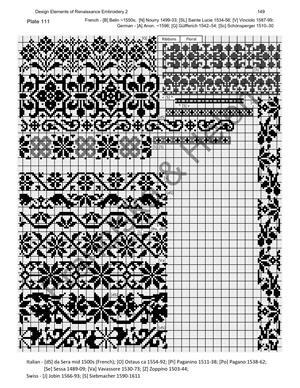 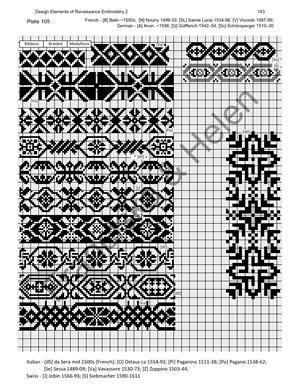 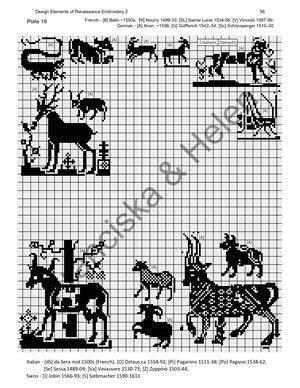 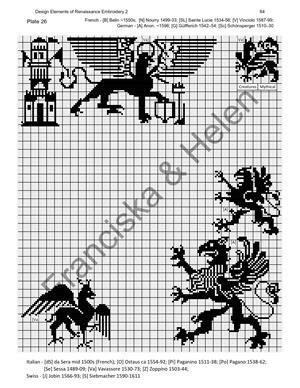 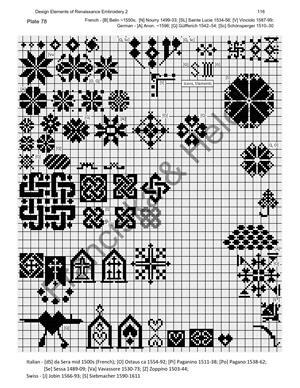 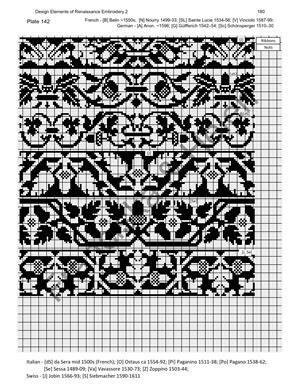 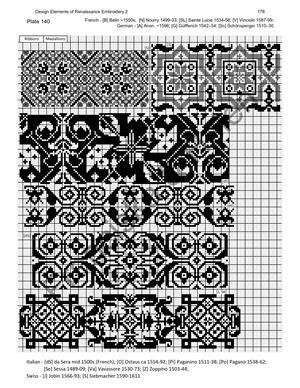 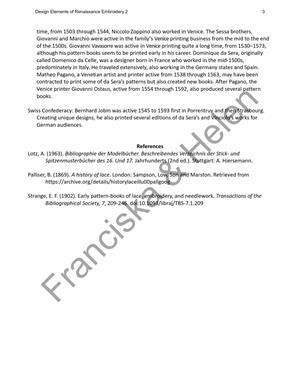 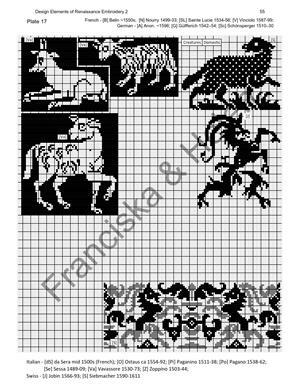 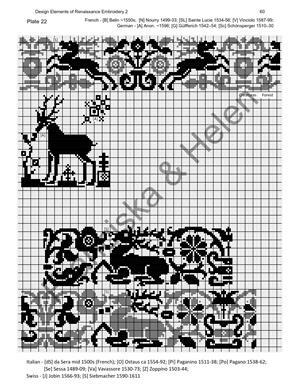 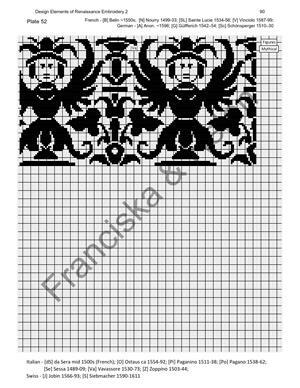 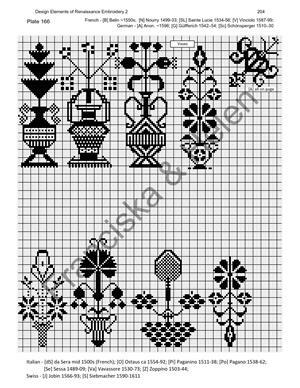 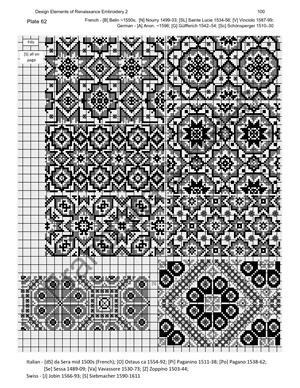 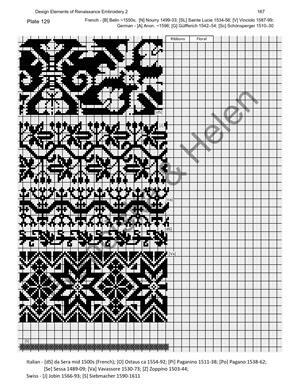 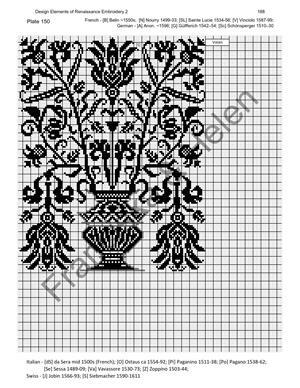 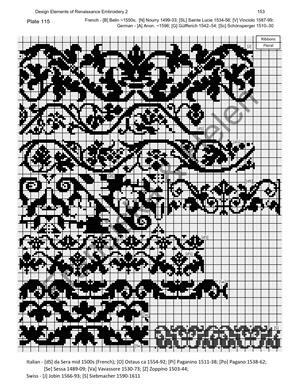 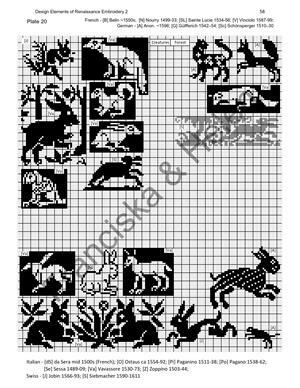 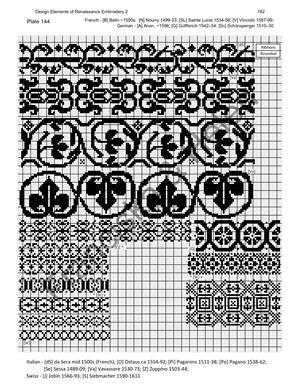 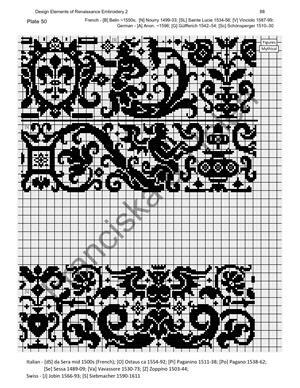 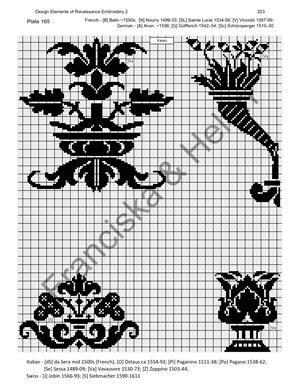 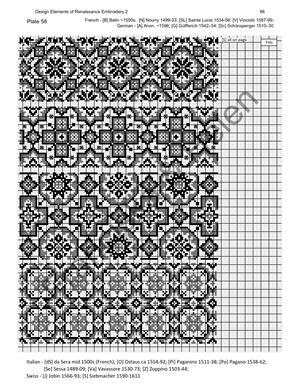 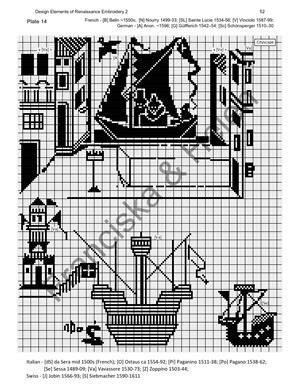 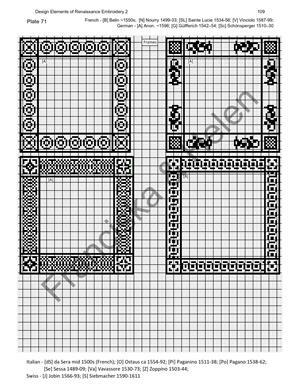 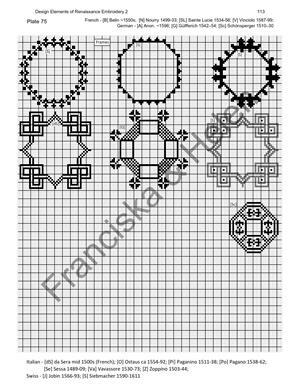 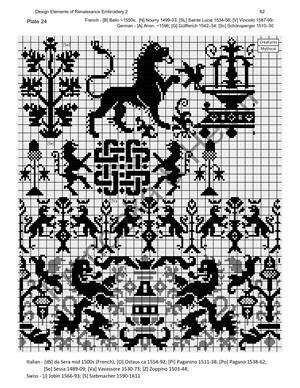 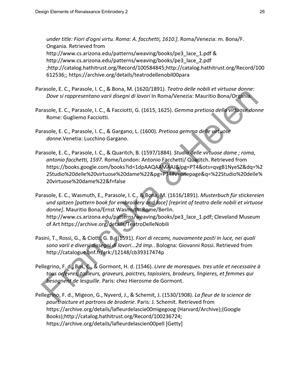 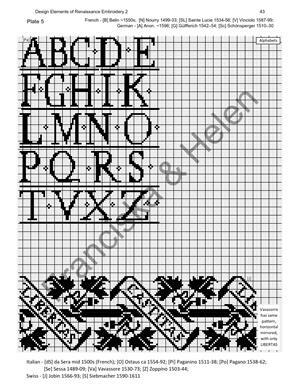 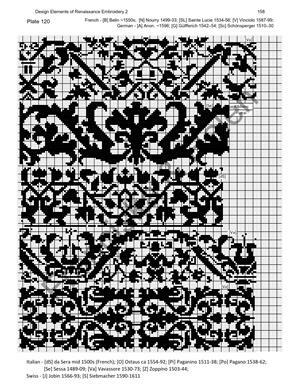 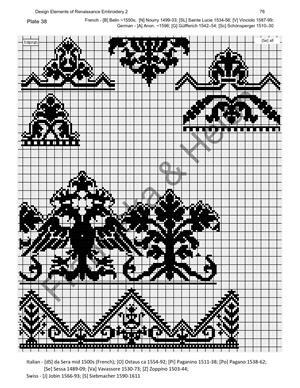 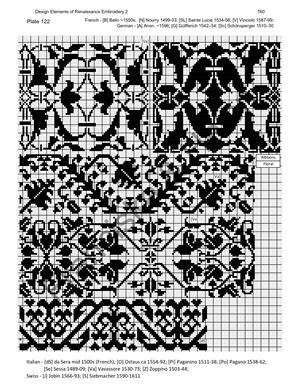 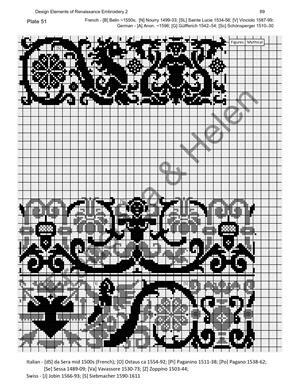 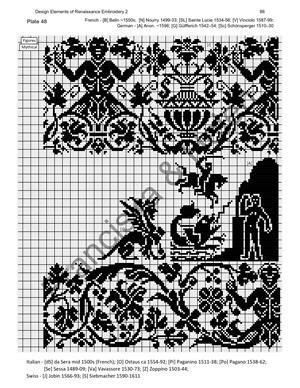 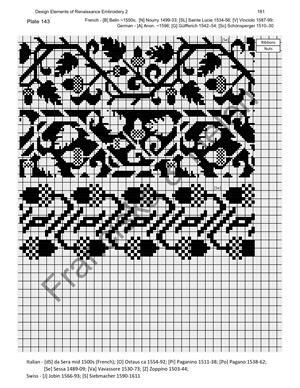 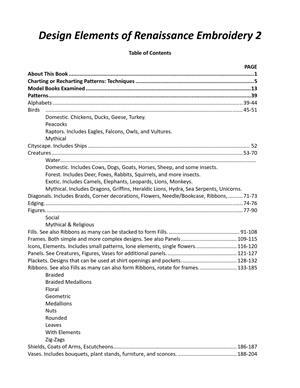 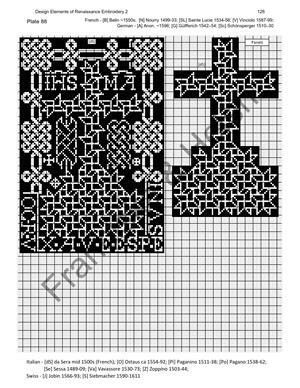 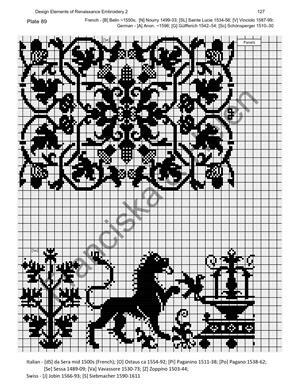 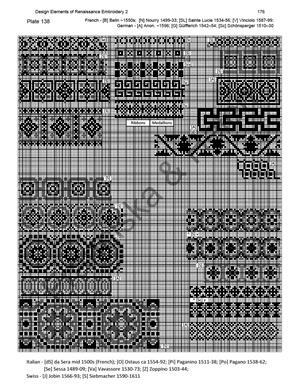 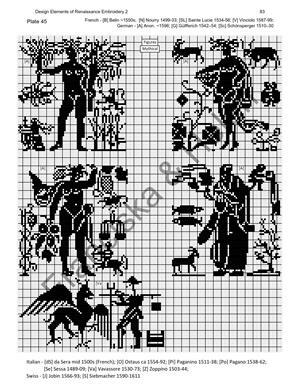 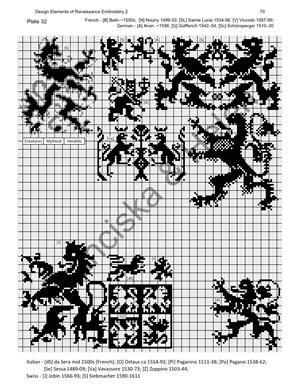 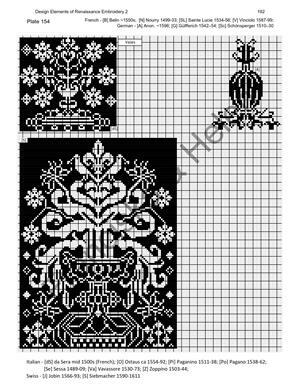 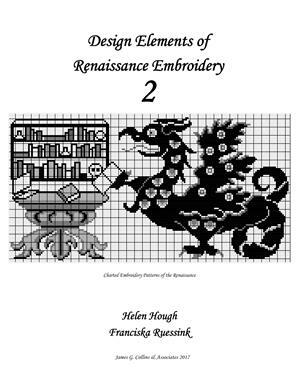 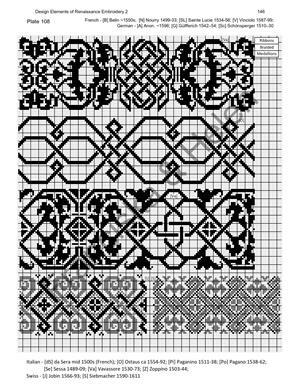 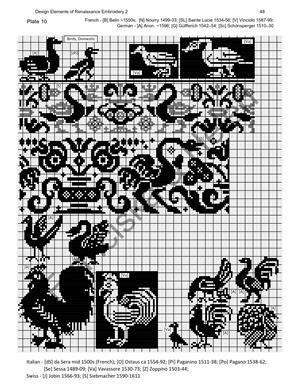 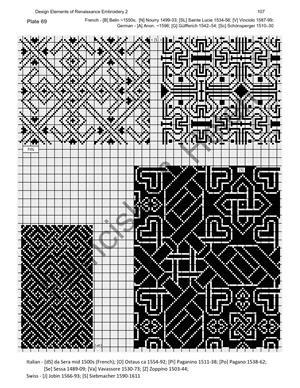 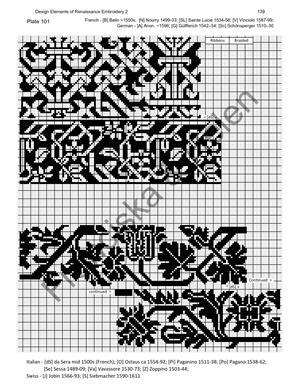 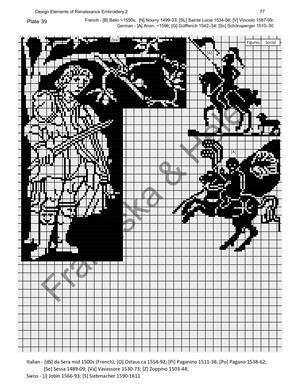 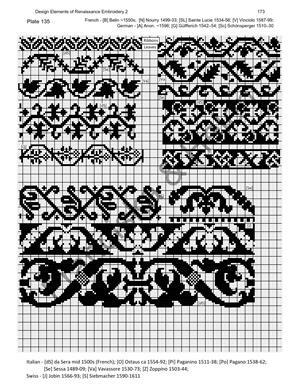 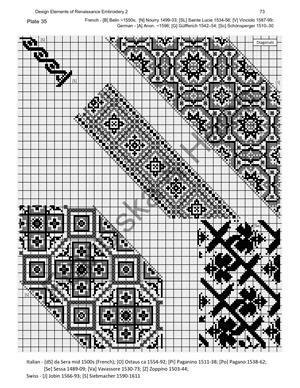 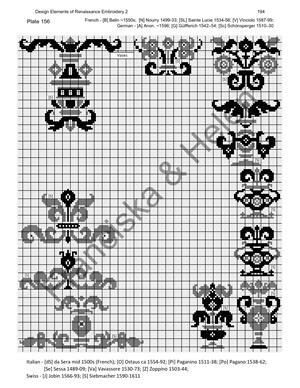 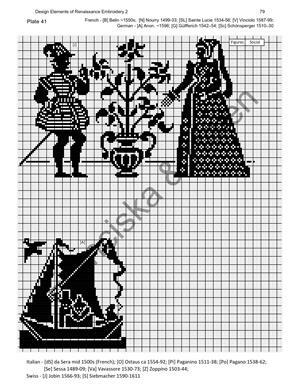 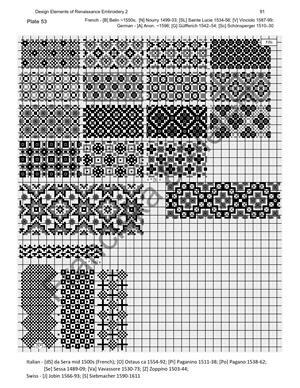 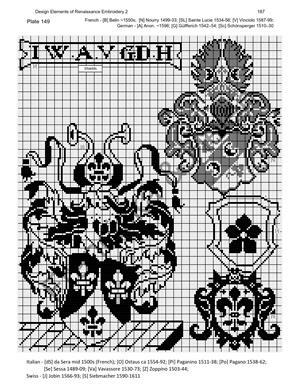 165 pages of block unit designs charted from Renaissance embroidery modelbooks, with author attributions. 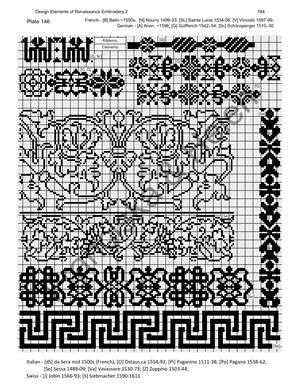 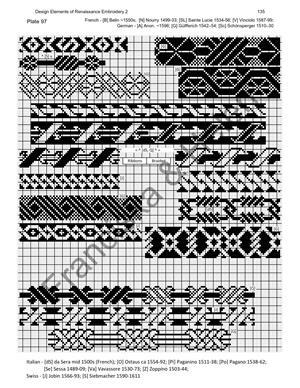 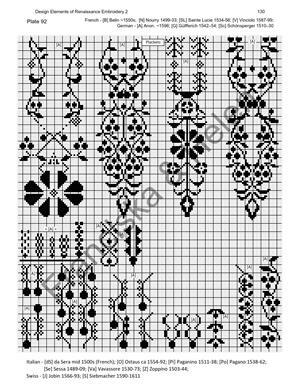 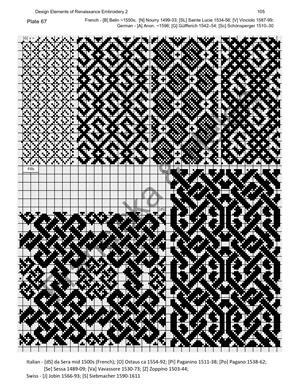 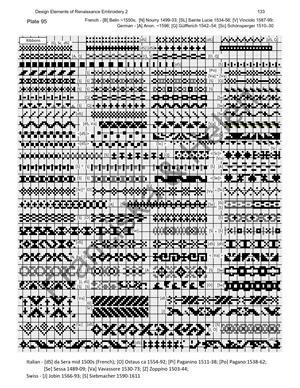 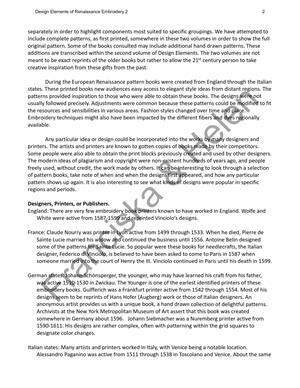 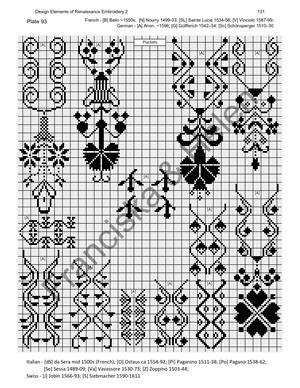 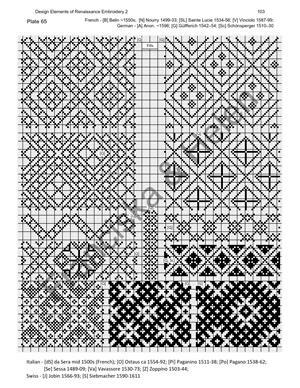 Designs grouped by type (motif, strapwork designs, alphabets, etc. 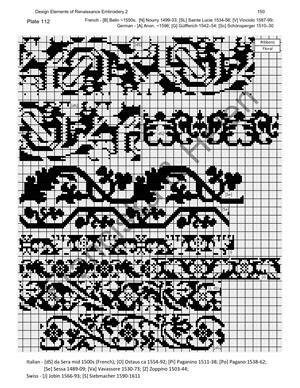 ), and are suitable for cross-stitch, lacis (darned net), and can be adapted for filet crochet, and knitting. 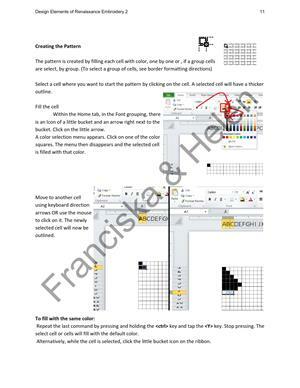 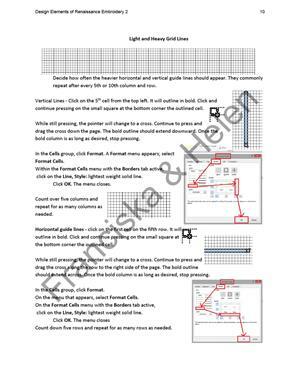 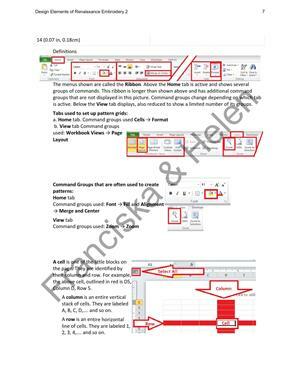 Also includes a charting tutorial for graphing block unit designs using common spreadsheet programs. 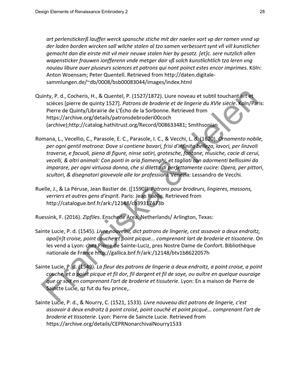 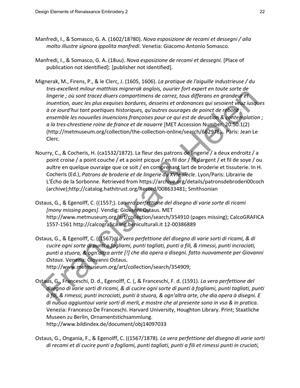 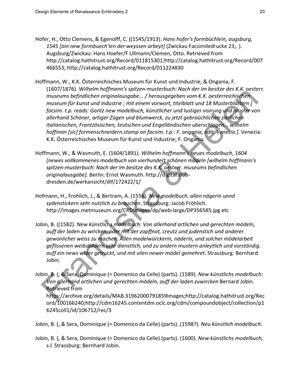 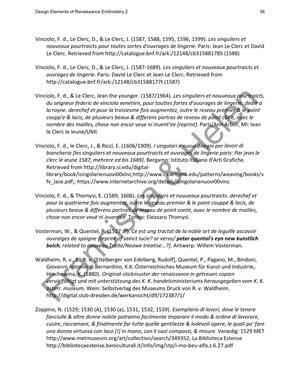 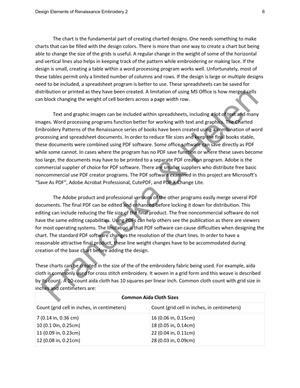 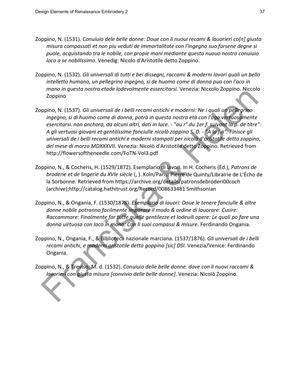 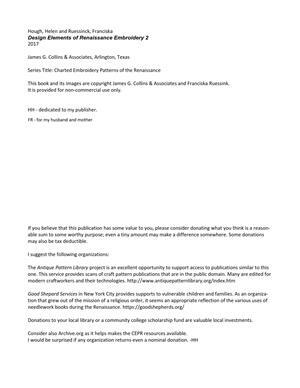 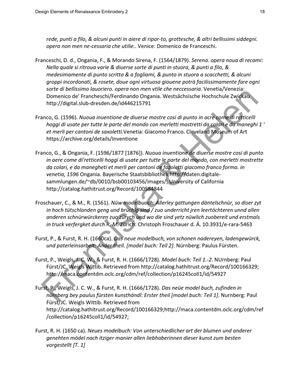 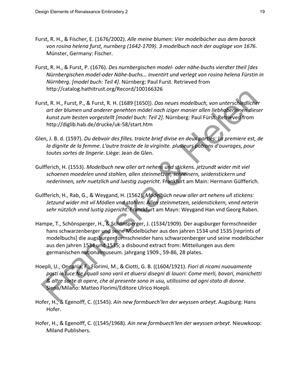 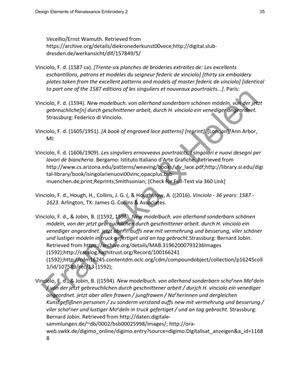 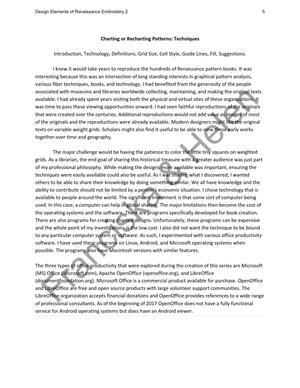 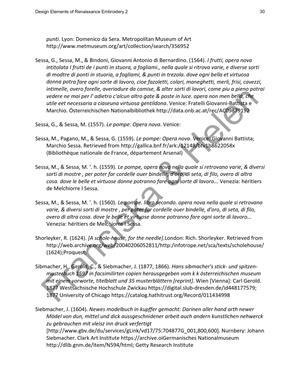 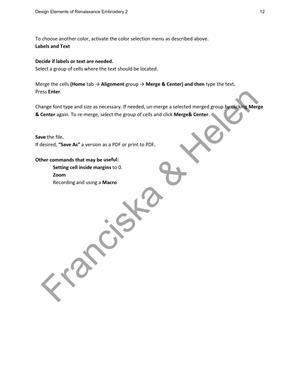 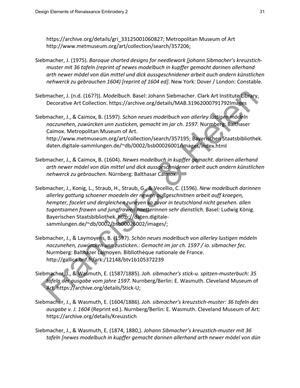 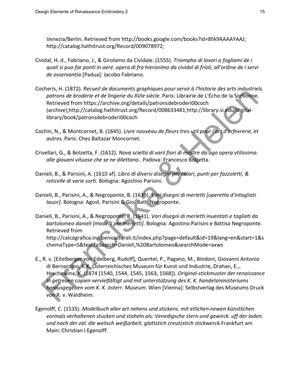 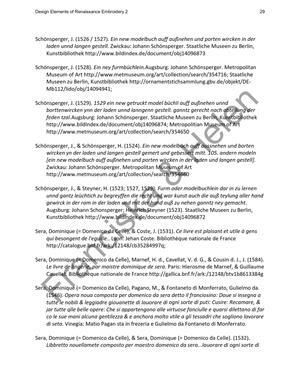 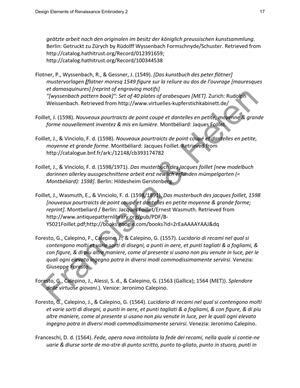 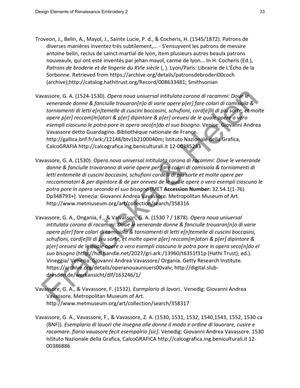 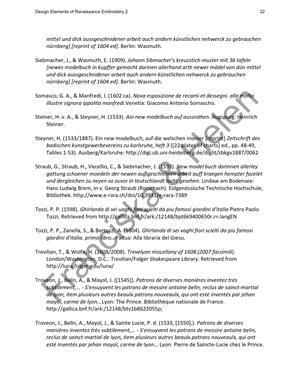 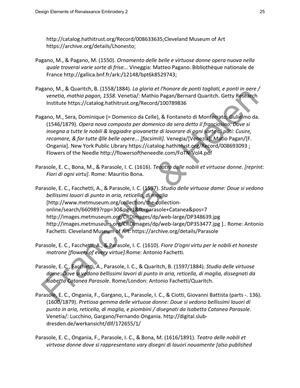 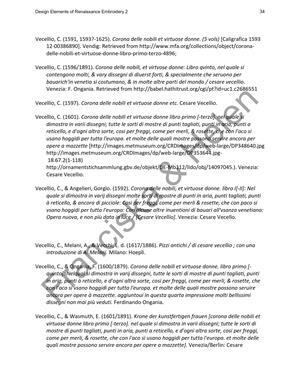 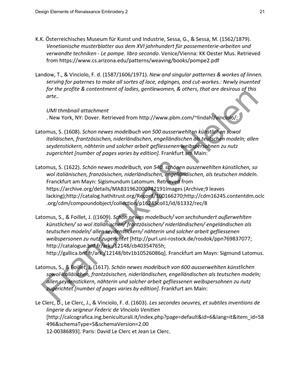 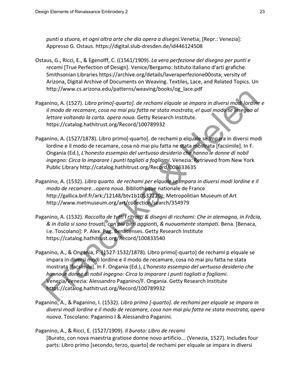 Permission to publish given by Helen Hough. 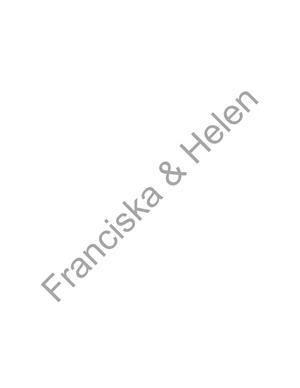 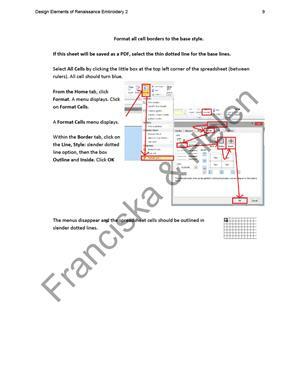 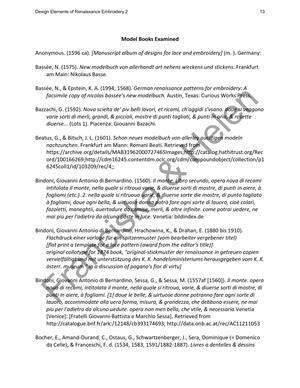 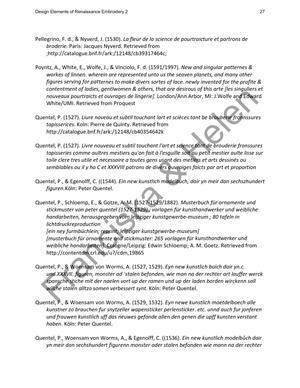 Images charted and edited by Franciska Ruessink.